DOVER, Del. -- A Delaware Supreme Court ruling earlier this year declaring the state’s death penalty law unconstitutional is retroactive, meaning an inmate convicted of killing a police officer must be resentenced to life in prison, the justices said in a follow-up decision Thursday. The ruling came in an appeal by Derrick Powell, who was convicted of killing Georgetown police Officer Chad Spicer in 2009, but it likely means that 11 other former death-row inmates also will be spared from execution. In August, a majority of the justices said Delaware’s death penalty law was unconstitutional because it allowed judges too much discretion in sentencing and did not require that a jury find unanimously and beyond a reasonable doubt that a defendant deserves execution. That ruling came after the U.S. Supreme Court said Florida’s death sentencing law, which also gave judges the final say, was unconstitutional. Alabama is the only other state that allows judges to override jury decisions on whether an offender should get life in prison or the death penalty. In its 15-page decision Thursday, the Delaware court said its August ruling invalidating the state’s death penalty law was a “watershed procedural ruling” that must be applied retroactively. In a 1989 ruling in “Teague v. Lane” the U.S. Supreme Court said a new rule of criminal procedure would not be applied retroactively unless it fell under one of two narrow exceptions: for new “substantive” rules, and for “watershed rules of criminal procedure” that implicate the fundamental fairness and accuracy of a criminal proceeding. “The burden of proof is one of those rules that has both procedural and substantive ramifications,” the court said Thursday. 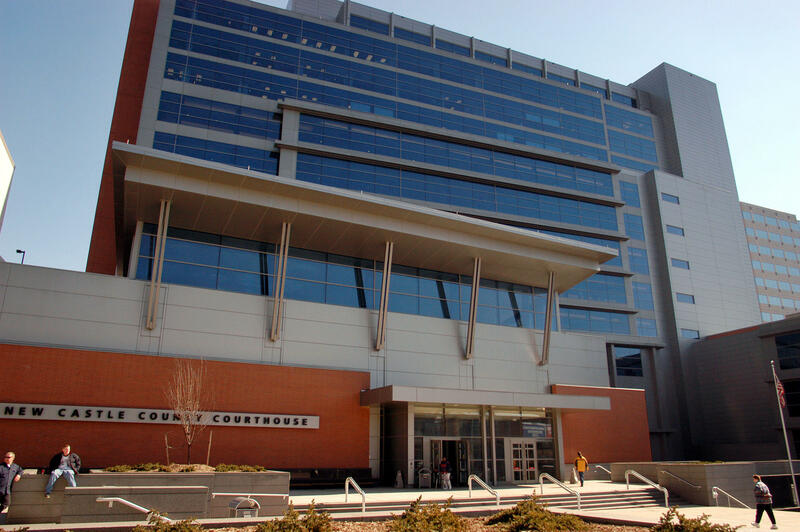 Prior to the court’s August ruling, a Delaware jury’s recommendation that a defendant deserved the death penalty needed to be based only on “a preponderance of the evidence,” not proof beyond a reasonable doubt. The jury in Powell’s case, on a 7-to-5 vote, found by a preponderance of the evidence that aggravating factors outweighed mitigating factors and recommended a death sentence. The judge found other aggravating factors and concluded, by a preponderance of the evidence, that all of the aggravating factors outweighed the mitigating factors. The justices noted that their decision Thursday is consistent with two prior opinions in which it found existing death-penalty statutes unconstitutional and vacated all death sentences. The first instance was in 1973, when three Delaware inmates had their death sentences vacated following a 1972 U.S. Supreme Court ruling. The second occurred after another U.S. Supreme Court ruling in 1976, when nine Delaware inmates facing execution had their death sentences vacated. Earlier this year, prison officials quietly disbanded Delaware’s death row and moved its former occupants to other housing. Prison officials say the move, in August, resulted in former death-row inmates having five times more recreational time than they had before, and in some cases, sharing cells with other inmates who are not facing the death penalty. Officials said the move comes amid evolving standards for treatment of inmates in restrictive housing settings and would help the Department of Correction keep its American Correctional Association accreditation.